being little • bristol uk fashion & lifestyle blog. : sick & tired. 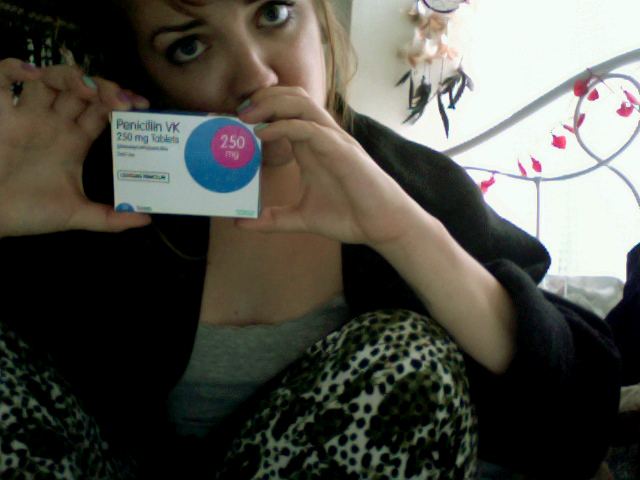 Sooooooooooooo guess who's got tonsillitis?! MEEEEEEEEEE! I feel so rubbish :( but Mum just delivered some Penicillin and painkillers, so hopefully I should start feeling better soon! It's pretty unlikely that I'll be blogging anything interesting over the next couple of days (although you never know..!) so in the meantime, have a look at the newest edition of h is for happy over at Bee's blog. It's a guest post including mine, Rosie's and Ayden's favourite things about summer. Makes me all happy inside looking at it! And, one of my outfits has been featured here! Oh no, I had tonsillitis a few months ago, it is HORRID! Wishing you a speedy recovery. Awwww! I hope you feel better soon lovely!! I hope you feel better soon! I had tonsillitis before it's so horrible you feel like crap! ive just created a fashion blog myself http://mystylewarrior.blogspot.com/ and i'd absolutely love it if you would check it out and leave a comment!